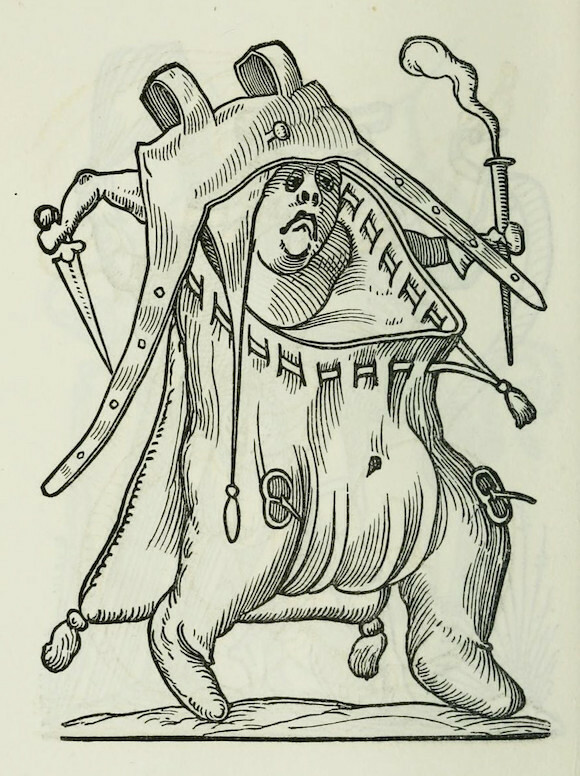 In 1565, twelve years after the death of François Rabelais (1494-1553) — the French Renaissance author best known for his satirical masterpiece The Life of Gargantua and of Pantagruel, the bawdy tale of two giants, Gargantua and his son Pantagruel — the Parisian bookseller and publisher Richard Breton brought out Les songes drolatiques de Pantagruel (The drolatic dreams of Pantagruel). 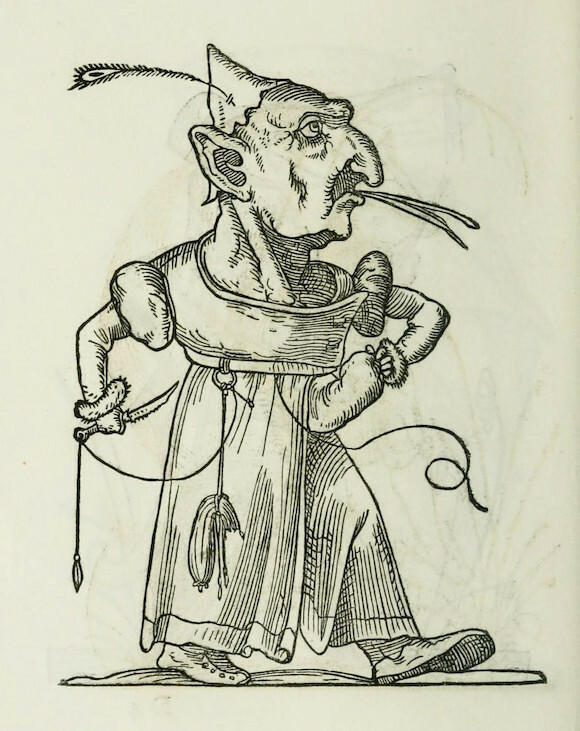 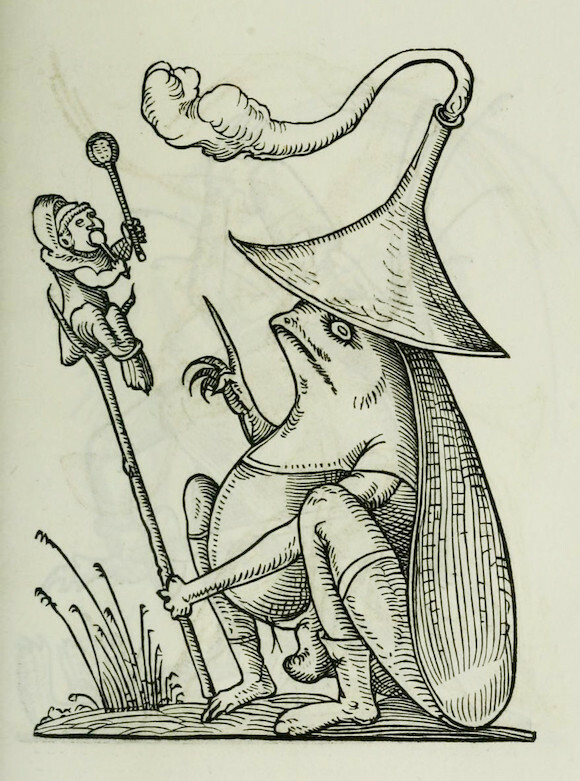 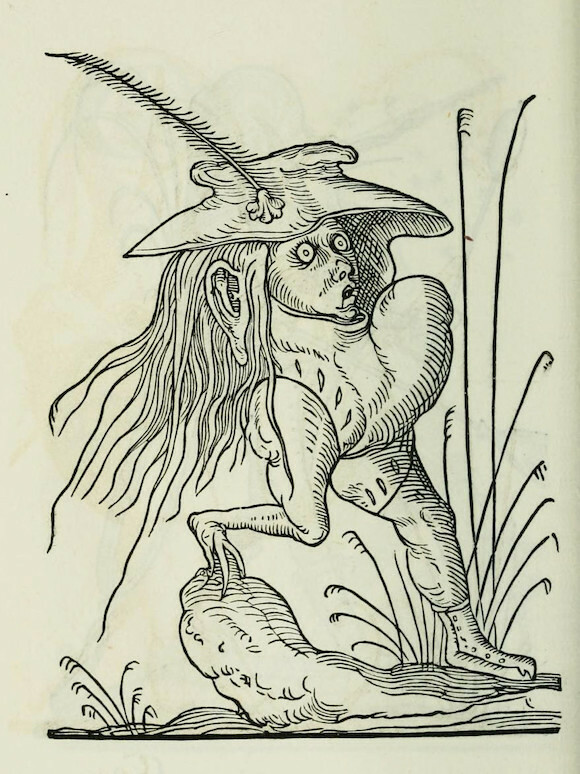 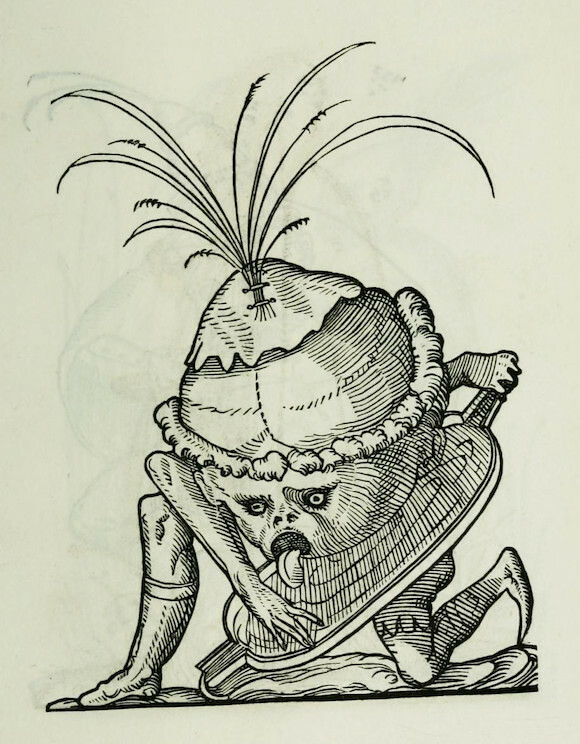 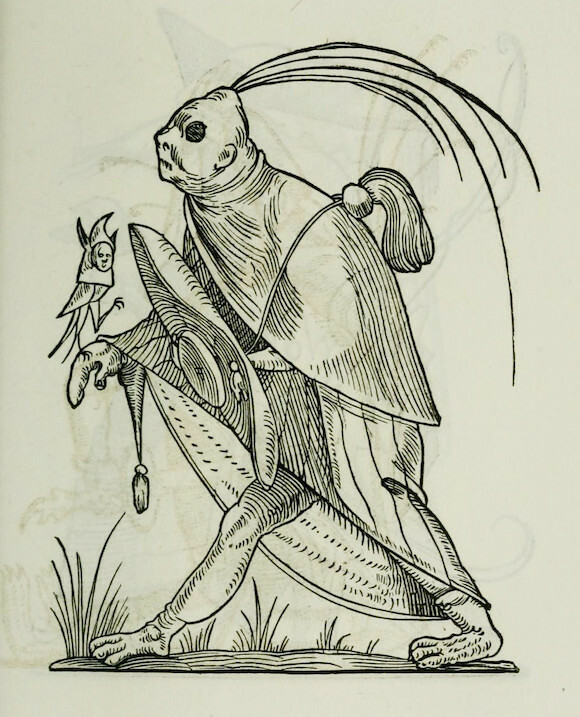 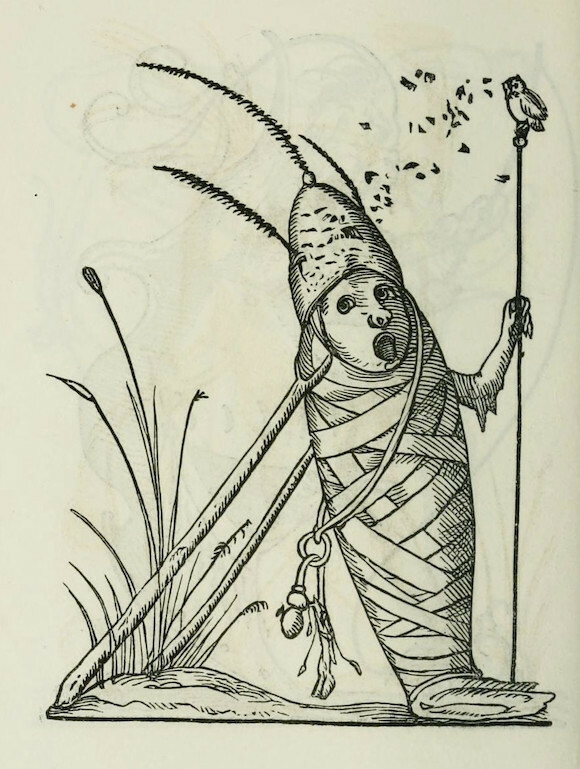 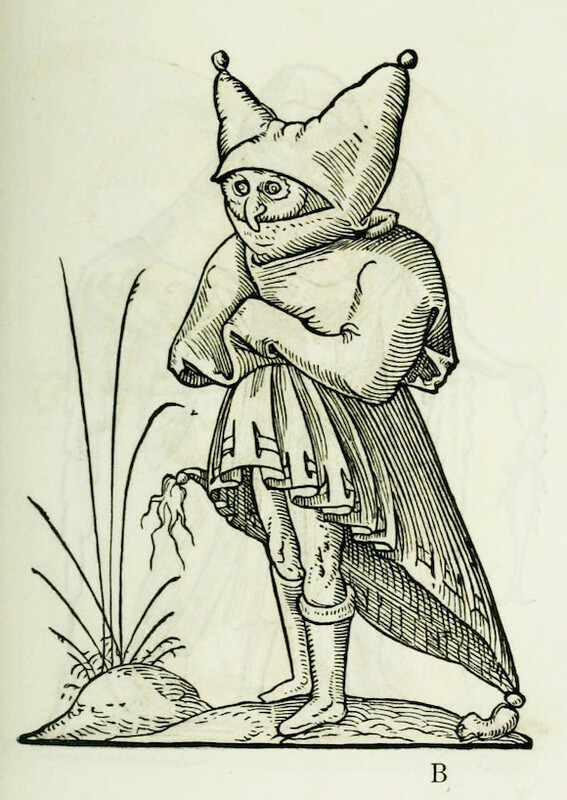 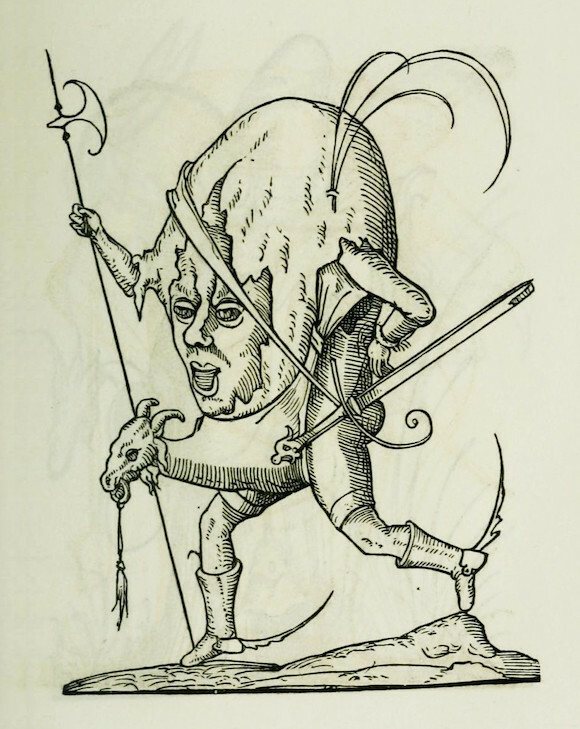 The slim volume, save a short preface from Breton, is made up entirely of images — 120 woodcuts depicting a series of fantastically bizarre and grotesque figures, reminiscent of some of the more inventive and twisted creations of Brueghel or Bosch. 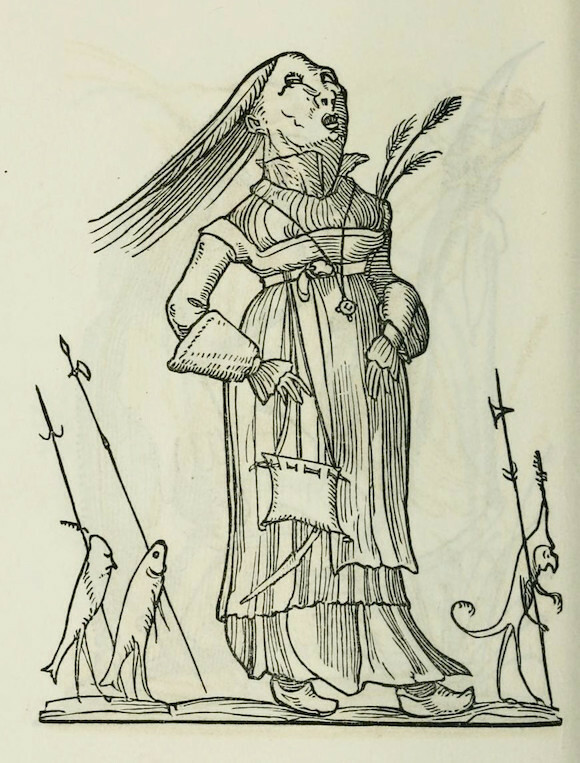 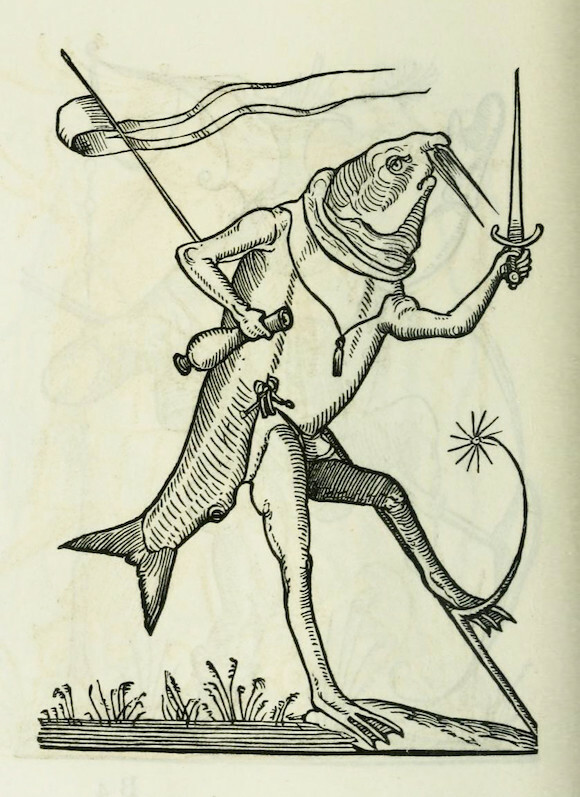 “The great familiarity I had with the late François Rabelais,” Breton writes in the preface, “has moved and even compelled me to bring to light the last of his work, the drolatic dreams of the very excellent and wonderful Patagruel”. 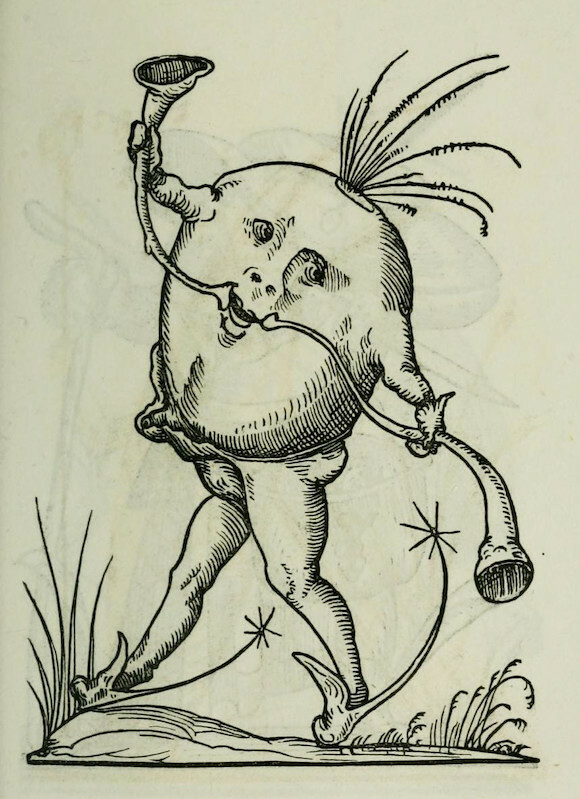 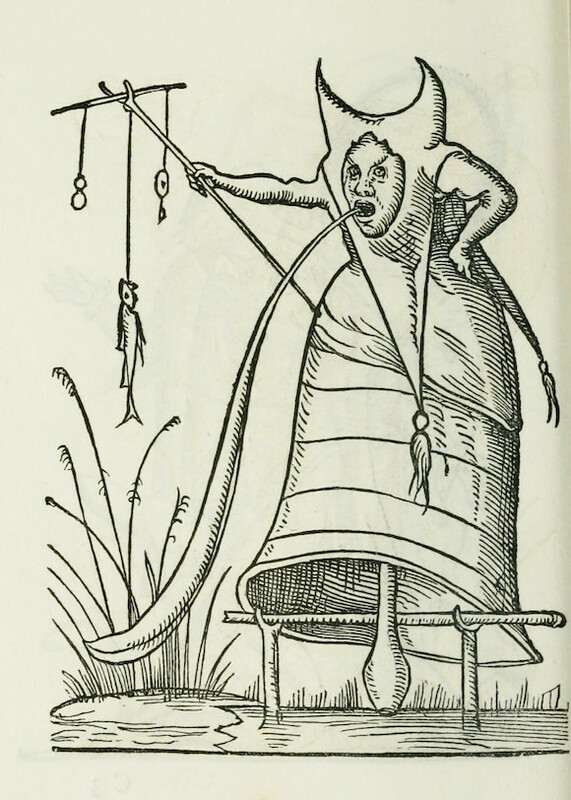 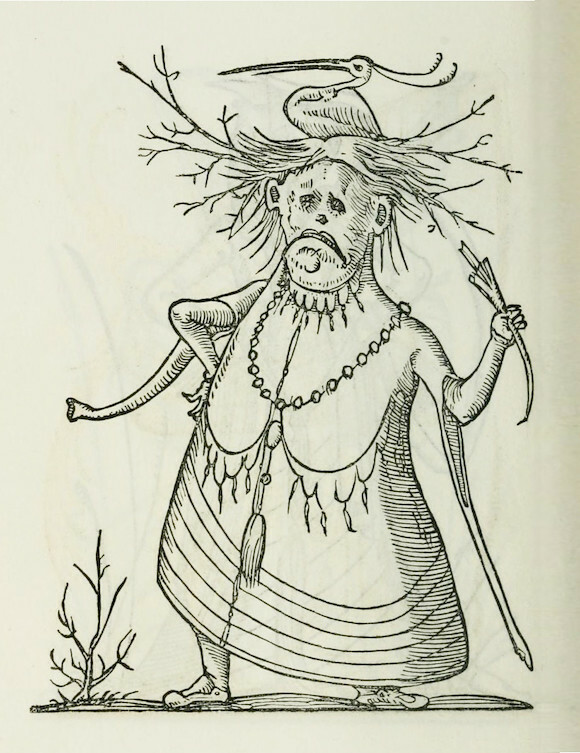 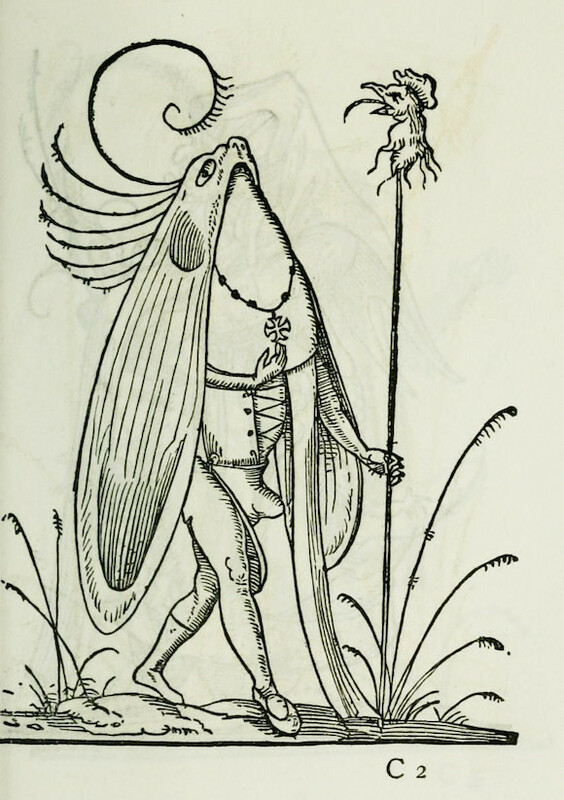 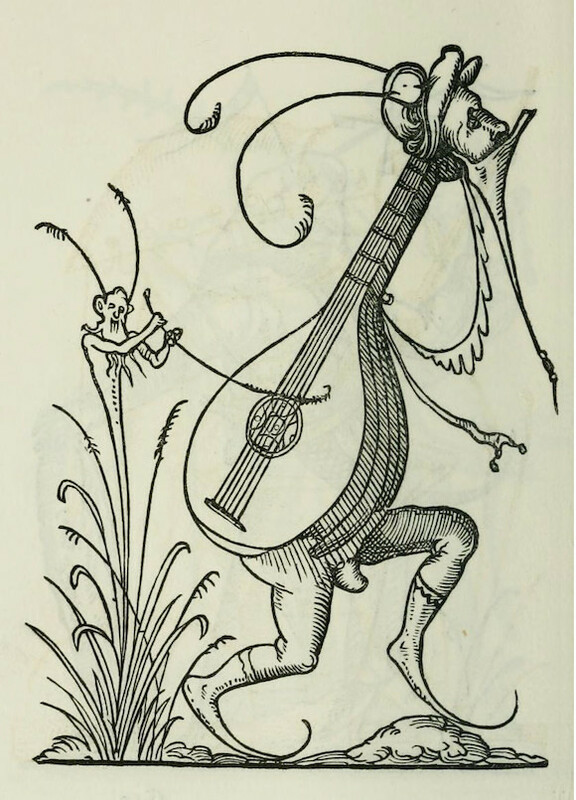 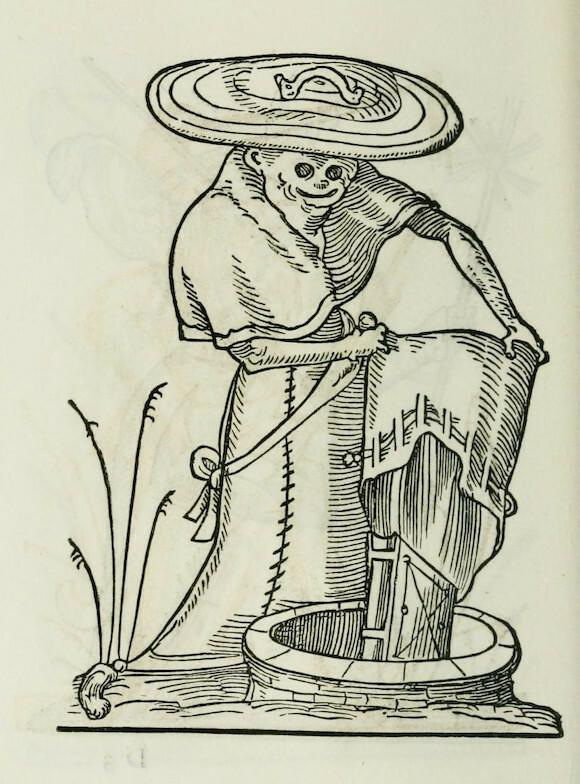 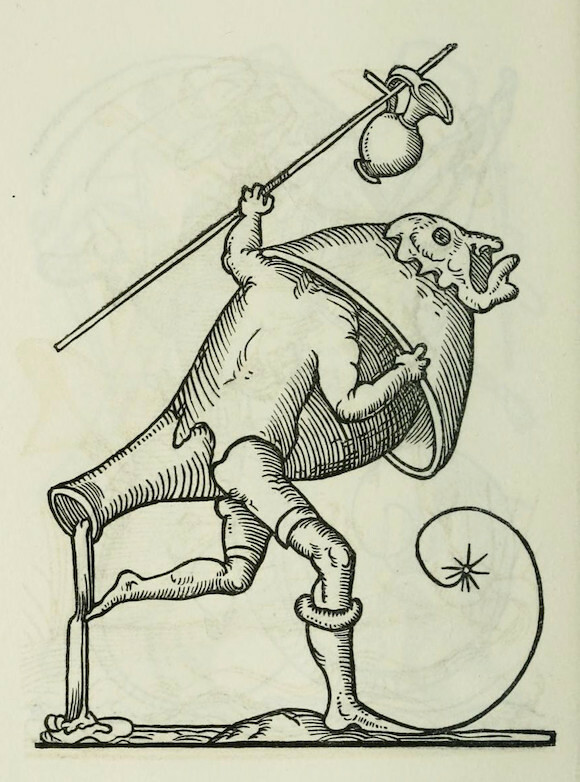 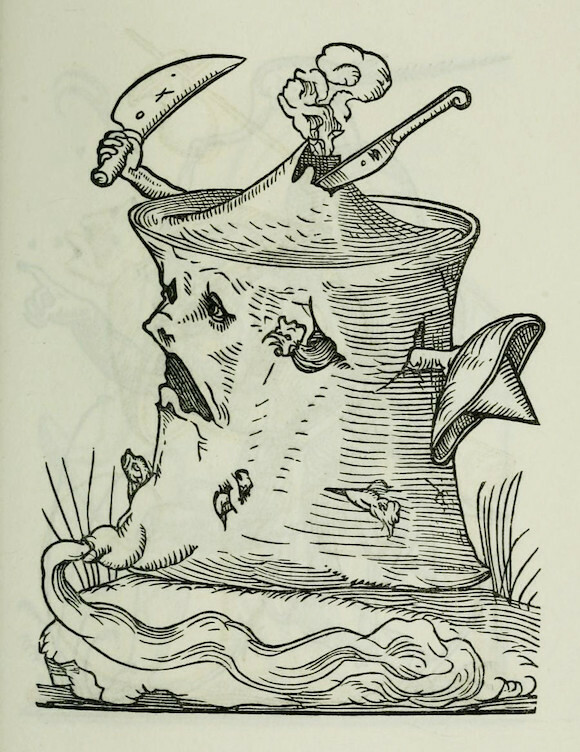 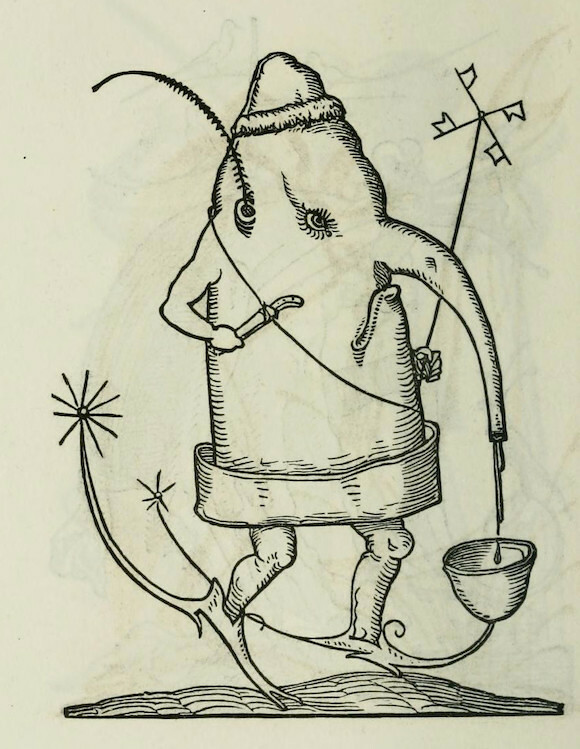 Despite the claims (echoed too in the book’s subtitle), the book’s wonderful images are very unlikely to be the work of Rabelais himself — the attribution probably a clever marketing ploy by Breton. 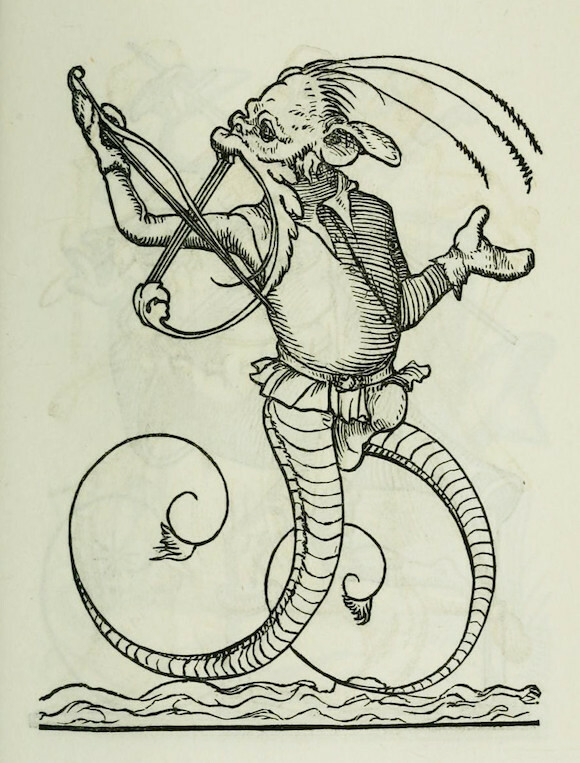 Indeed, that this attribution to Rabelais is a ruse might also explain the unusual lack of text beyond the preface, the intimidating task of imitating the comic master’s distinctive literary style perhaps one step too far for Breton. 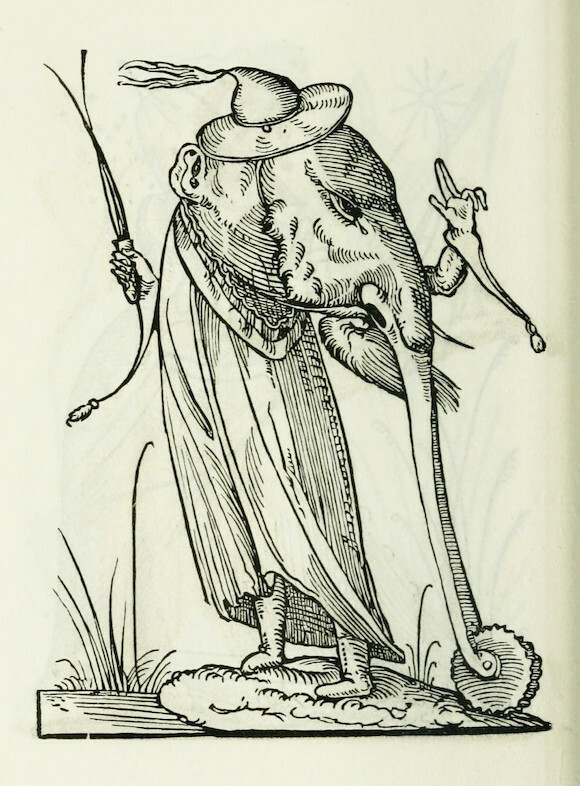 The creator of the prints is now widely thought to be François Desprez, a French engraver and illustrator behind two other sets of imaginative designs, similar in style — Recueil de la diuersité des habits (A Collection of Diverse Costumes) and Recueil des effigies des roys de France (A Collection of Pictures of the Kings of France) — both published through Breton in 1567. 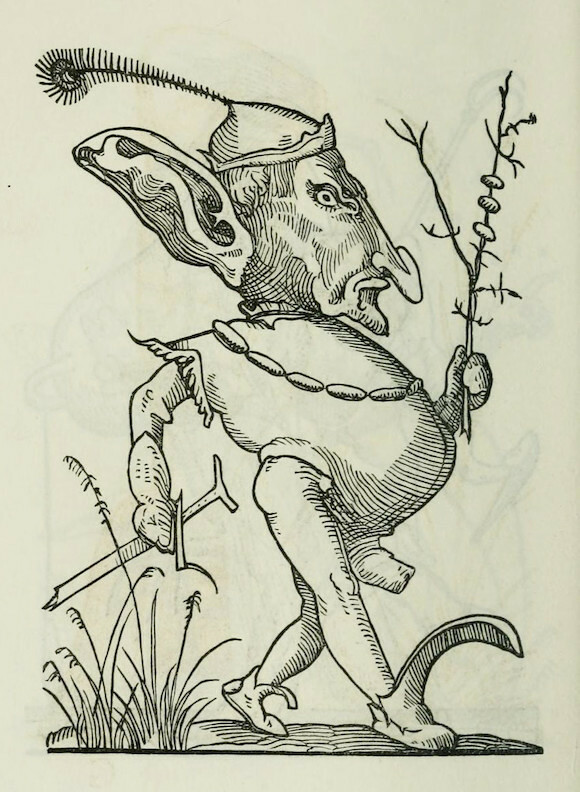 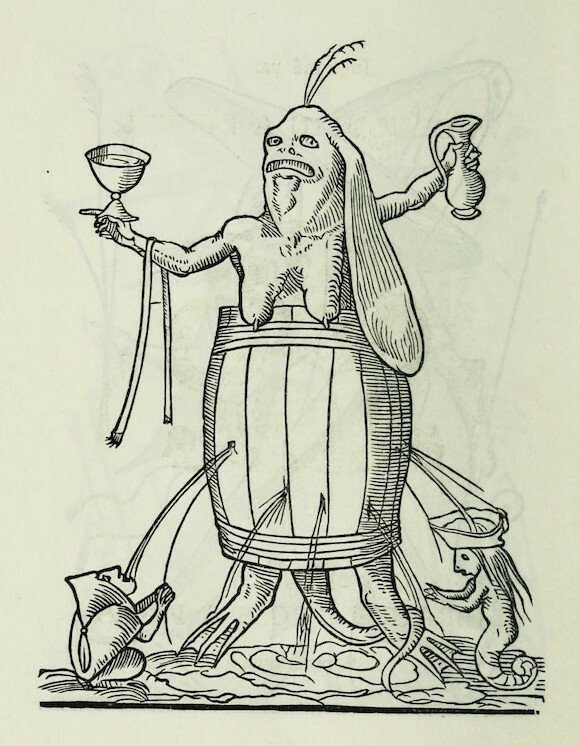 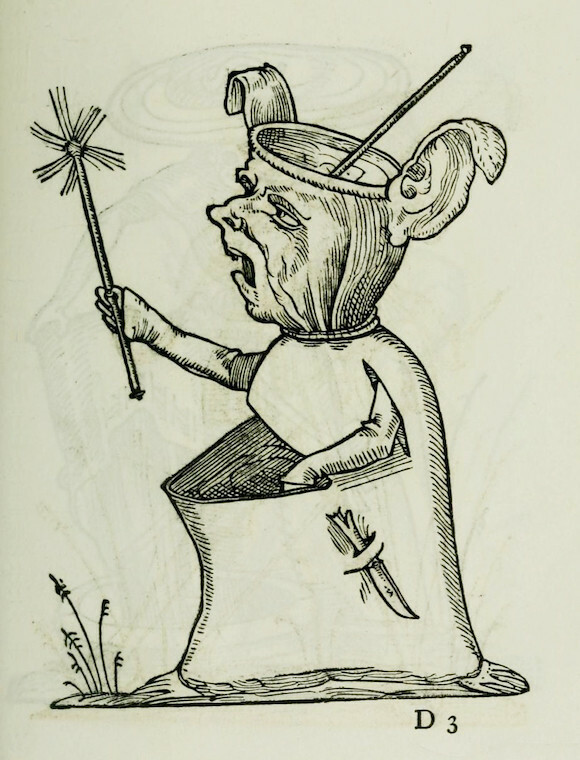 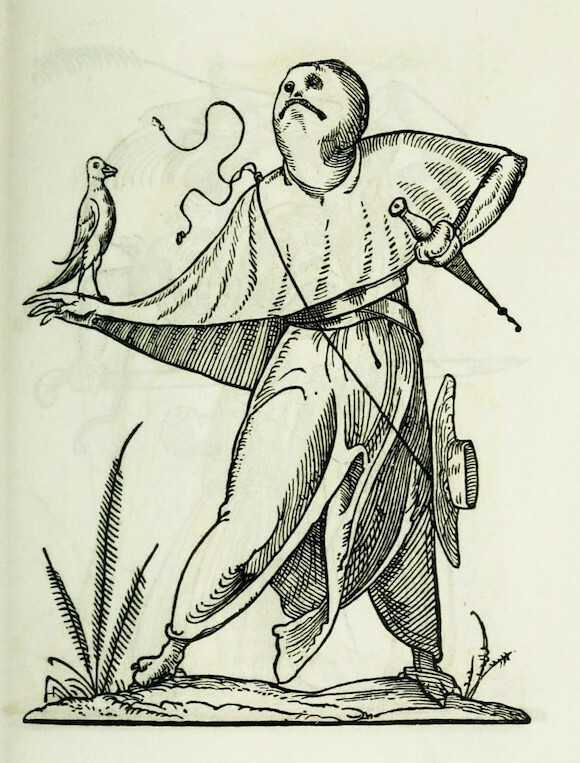 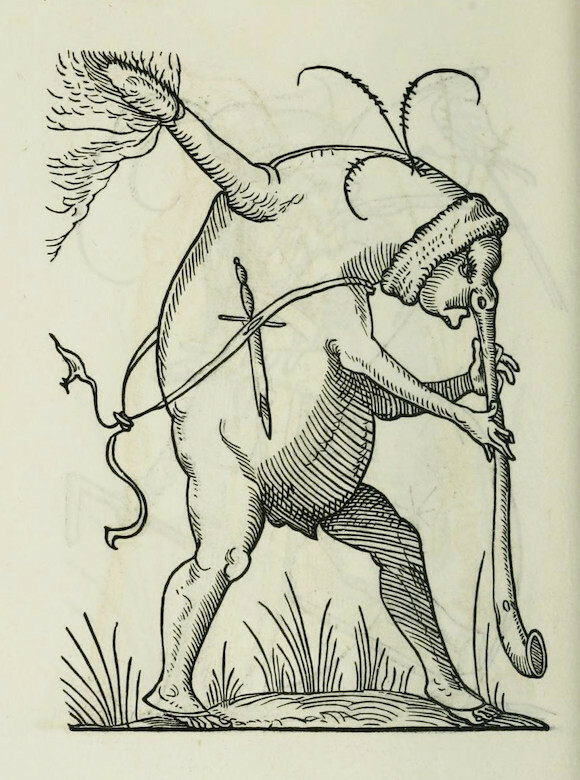 The highlights we present below are from an 1869 reproduction printed by Louis Perrin of Lyon, which includes a new and extensive introduction offering some ideas on the symbolism of the figures (mockery of Pope Julius II is rife). 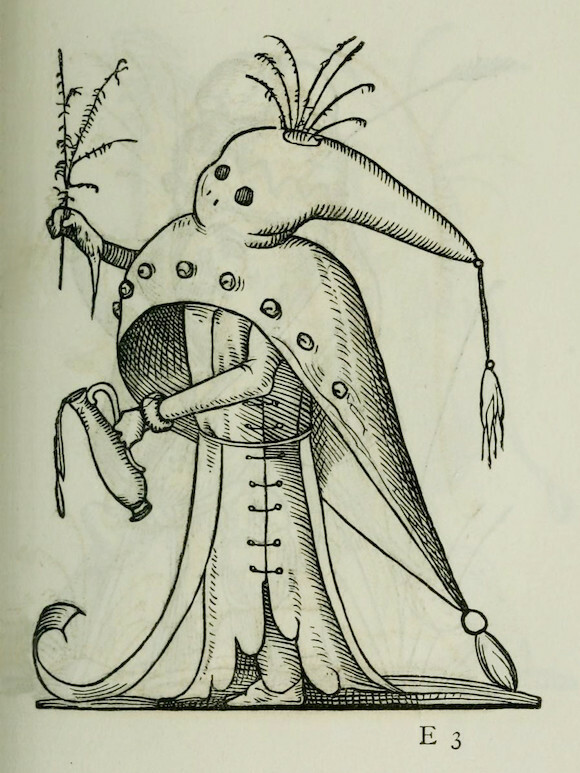 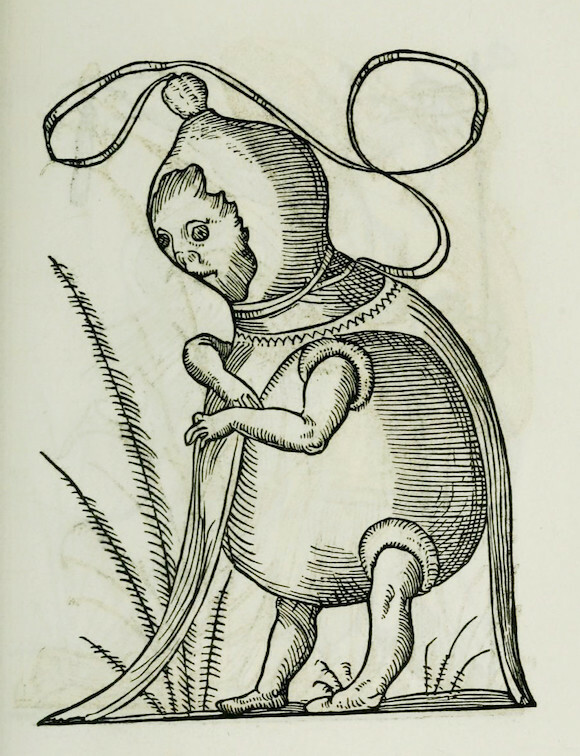 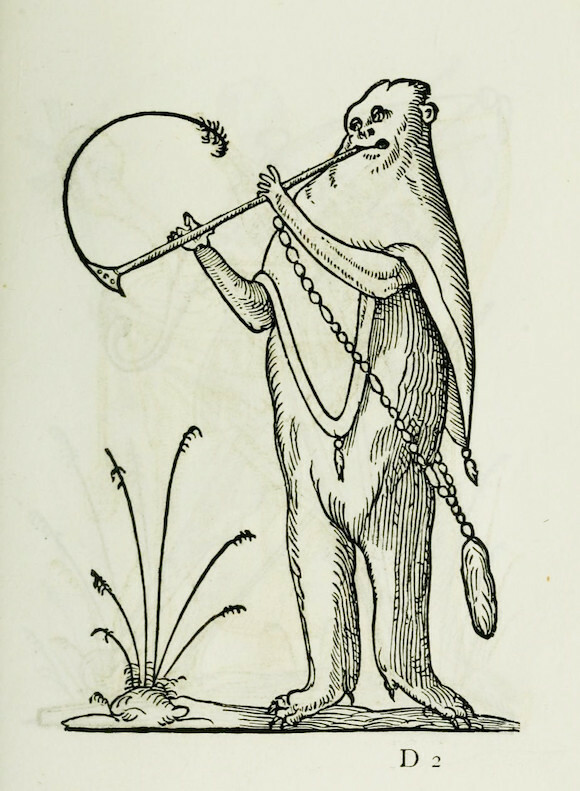 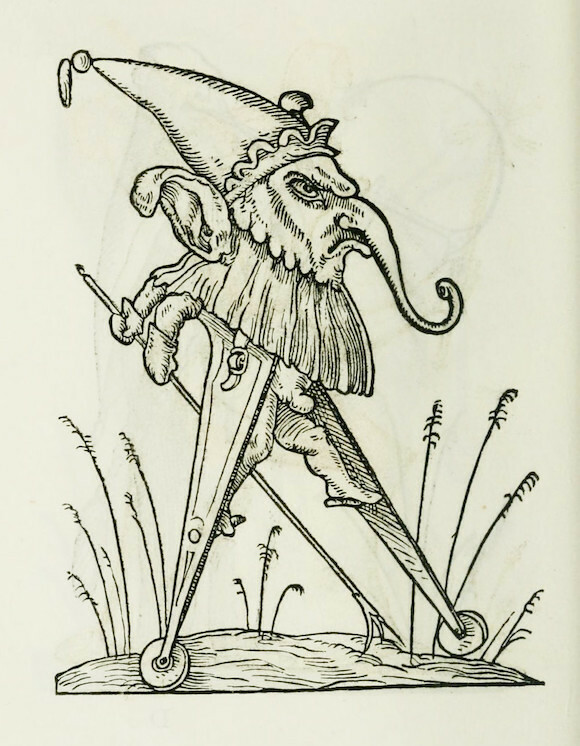 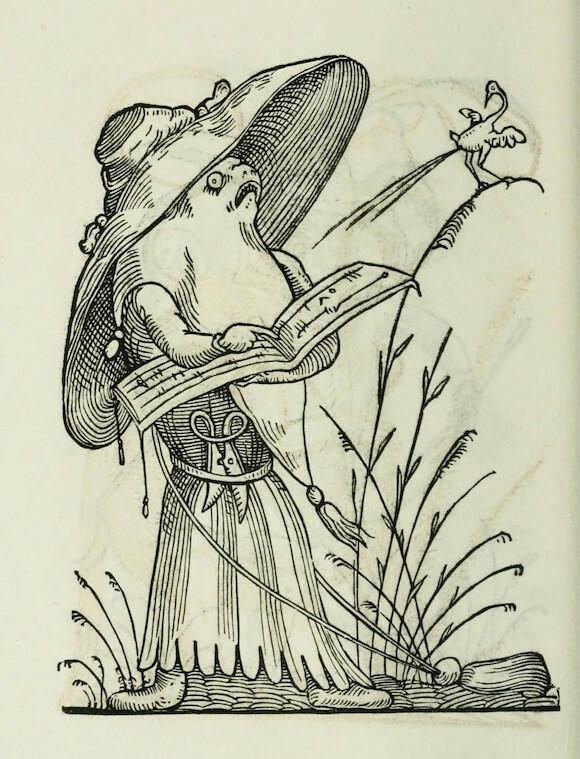 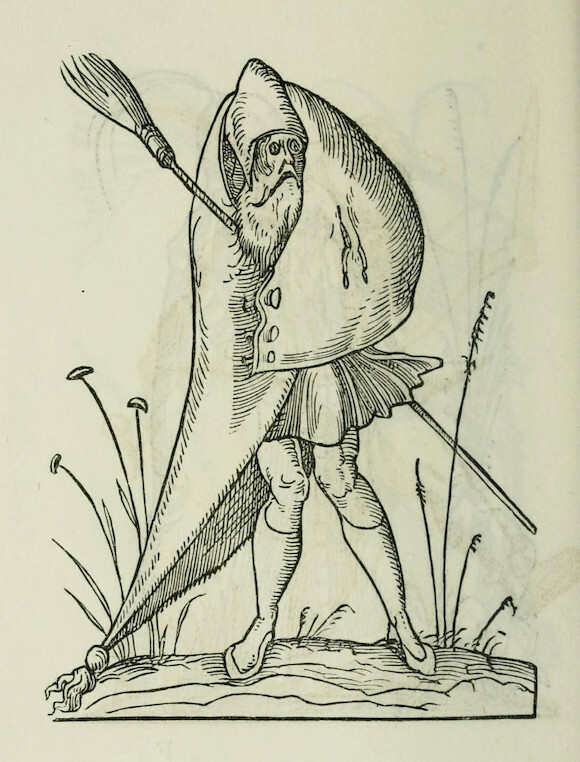 You can see the 1565 original here on BnF’s Gallica platform (but be aware it has restrictions on re-use, hence why we are not featuring the images here). 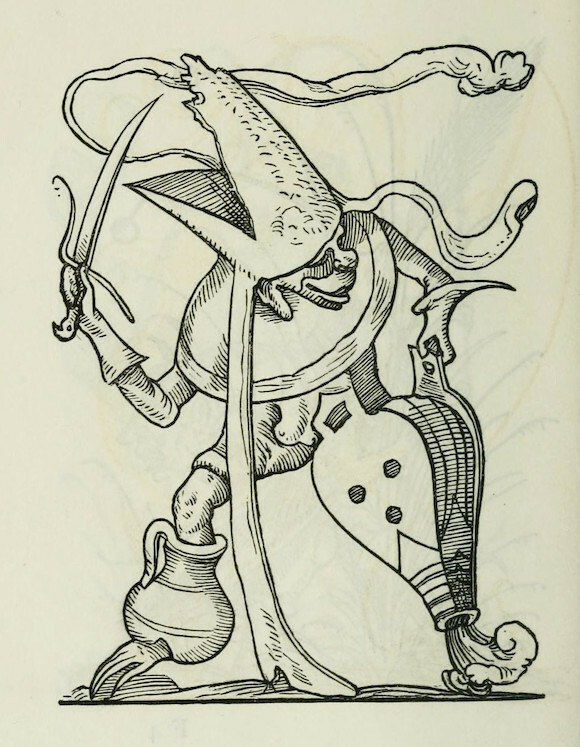 For more on the book and its images we recommend reading the excellent post featured on the Poemas del río Wang blog, which, among other illuminating insights, also includes an English translation of Breton’s preface and ruminations upon the adjective “drolatique”. 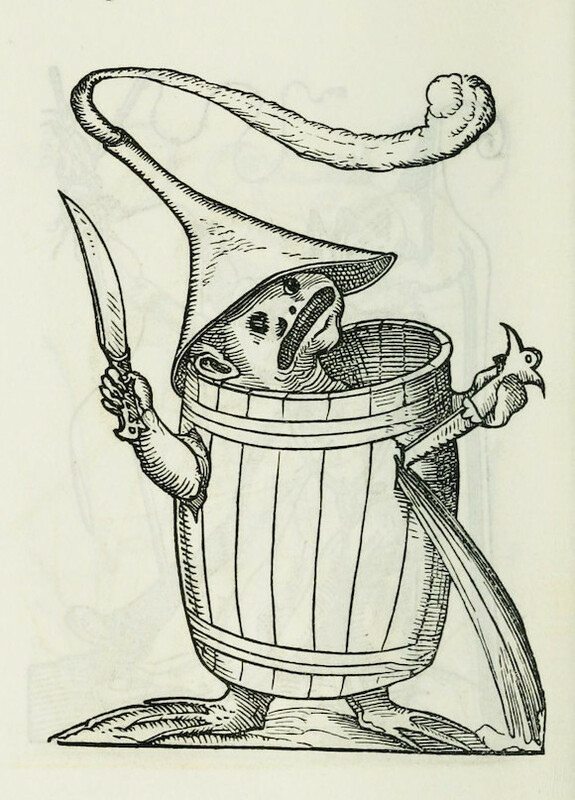 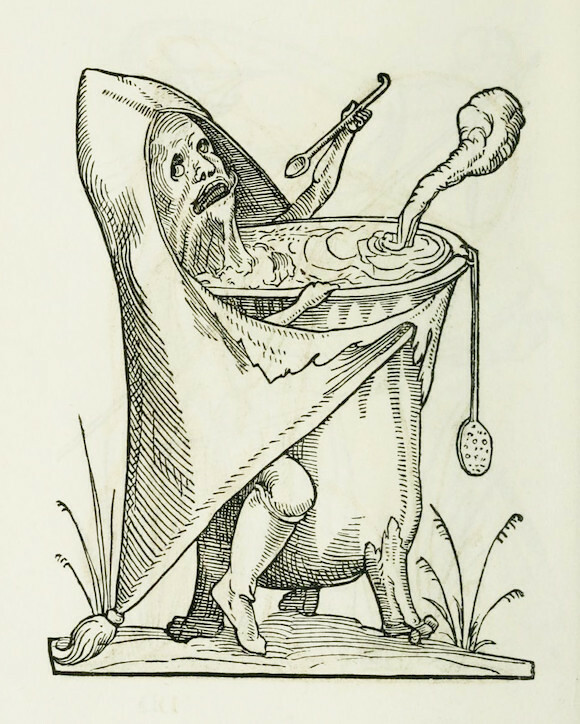 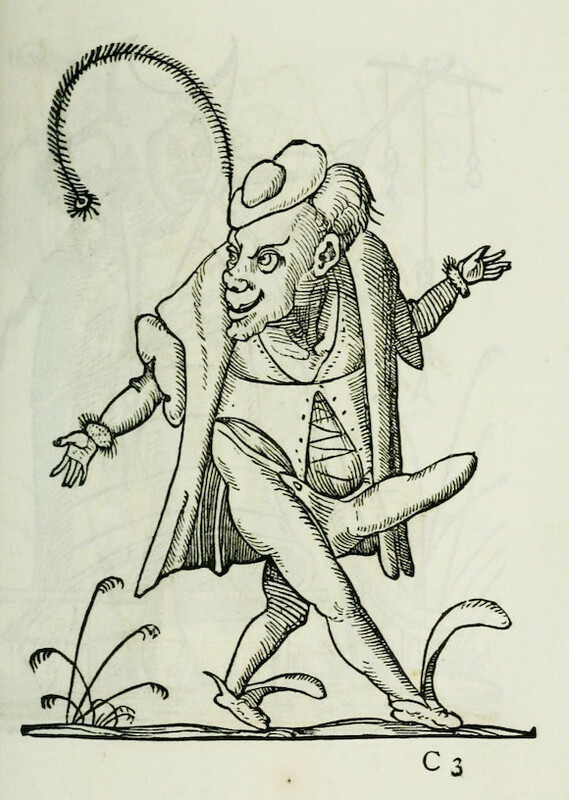 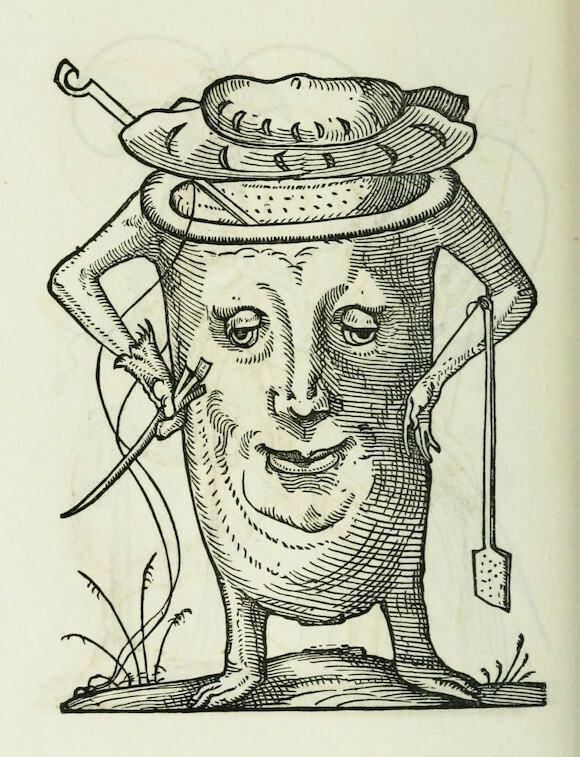 As for an English translation of Rabelais’ The Life of Gargantua and of Pantagruel we recommend M. A. Screech’s 2006 translation for Penguin Classics. 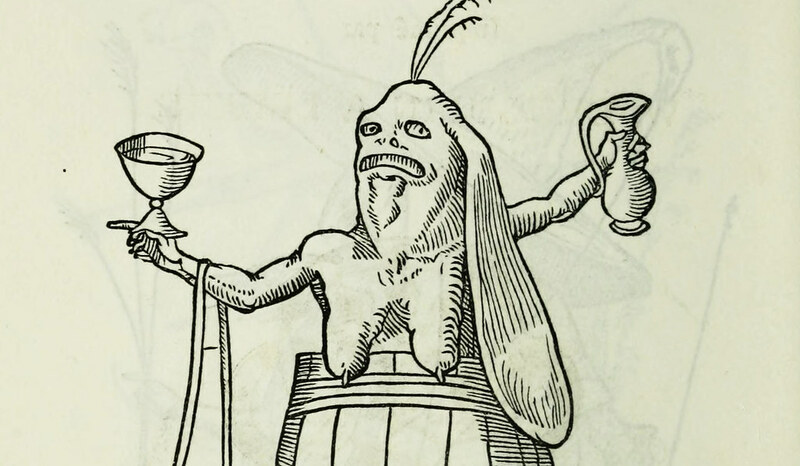 We also couldn’t resist putting some of these figures on a T-shirt and a Mug, available from our online shop.